Reverend Campion of Our Lady of Fatima Bible Center held a three-day convocation, "Prayer, Penance, and Conversion". 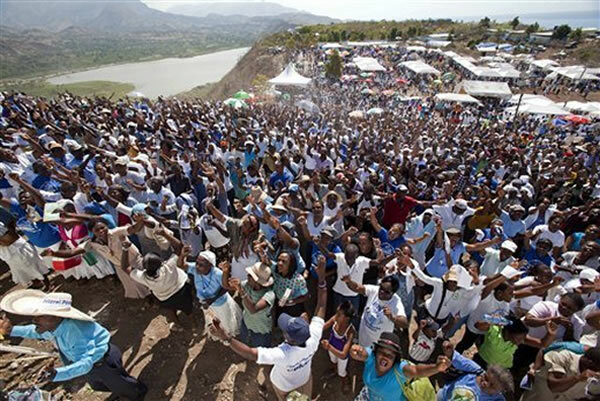 Thousands attended a ceremony, which involved being sprinkled with holy water and undergoing exorcisms to cast out evil spirits. People prayed for visas to leave Haiti and for ailing family members to be cured. Reverend Campion demanded of people, "You must convert! ", or else Port-au-Prince would be permanently destroyed when the next earthquake hit Haiti.